Wednesday, Friday, Saturday / 10:30 p.m. to 4:00 a.m.
No matter where you go in Vegas, you’re bound to come across something that pushes the envelope. This is a fact that rings true for all sorts of establishments, from classy restaurants to extravagant nightclubs. One such place can be found right on the Strip, within the over-the-top setting of the Palazzo resort and casino. While some places are considered class acts, this one is The Act of Sin City. Offering 15,000-square-feet of tiered space, The Act is an upscale establishment that is far more than just yet another nightclub. 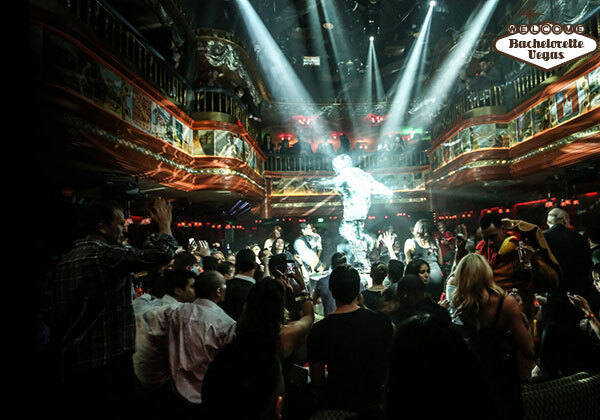 Built from the mind of Simon Hammerstein, known bets for his work in New York City’s theater and nightlife scene, The Act brings to the nightlife an experience unlike any other. Mixing the best of a nightclub, dance club, and theater, Hammerstein’s creation is a hybrid that must be seen to be believed. On any given night, the expansive space of The Act turns into a performance space where guests will witness small theatrical shows and nightly acts. Imagine performances like those in the New York City subway tunnels, increase their quality tenfold, and those are the types of shows that The Act delivers. The main focus of the venue is undoubtedly the nightclub atmosphere, but these little side routines help to kick up the entertainment that extra notch. From acrobatics to small, interactive bits that involve the audience, The Act spares no expense when it comes to these sidelined showcases. At its core, The Act is a nightclub that is simply looking to entertain, and with its lineup of special guest and resident DJs, it has no problems achieving that goal .The combination of house and top 40 keeps the energy high and works perfectly to keep the dance floor packed. The dance floor at The Act works, though best used for those looking to dance the night away, also works as the perfect vantage point to experience the adept showmanship that Simon Hammerstein worked intricately into his Sin City nightclub. The best seat in the house, of course, is within The Act’s VIP seating. 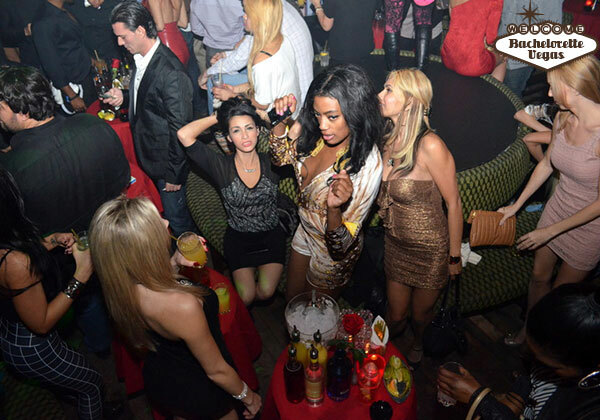 When celebrating your bachelorette party or just a girl’s night out, you’ll want the best that the club has to offer. As with any nightclub in the Strip, procuring VIP seating is far from the easiest task, but with The Act it is an essential part of fully enjoying everything that the nightclub has to offer. For information on how to partake in The Act’s VIP seating, contact Bachelorette Vegas today. Premium bottle service, quality seating, and a view that allows for optimal enjoyment of the club’s miniature acts are just one, simple phone call away. The Act may not carry the same weight as legacy clubs like TAO, but this slice of Sin City is well worth any hype.